Whichever kind of Wood Temperament you have, what you feed and how you handle them can affect their health and behavior. Check out our Horse Harmony: Five Element Feeding Guide and the Five Element online course to learn how to keep your type of Wood horse healthy and happy. Madalyn Ward DVM is offering a unique opportunity for others to mentor with her. This can be done long distance with the help of technology so don’t worry that you have to miss out if you don’t live in her area. This one-on-one study allows Madalyn to design a program to suit your needs whether you are a professional, horse owner, or just interested in increasing your equine knowledge. You can choose from topics on “Horse Nutrition Mentoring Course – Using foods to heal” or “Homeopathy Mentoring Course – Beyond Arnica”. 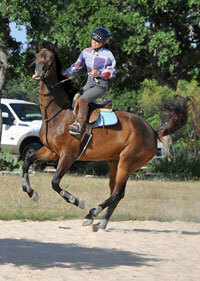 Don’t miss out on the chance to learn from a holistic horse expert. Email info@holistichorsekeeping.com and ask for an application. Details about the program are available online. The number of students is limited at any one time so that Dr. Ward can spend time with each, so get your application now. If your schedule just doesn’t allow you to commit right now to the 6 month Mentoring Course, you can still increase your equine knowledge and skills with books , ebooks, audios, or a self-paced online course open to anyone interested in learning more about the Horse Temperament Types. If you want to learn more about determining the temperament type of your horses, this course is the one for you. You can sign up and find more information at http://horsetemperament.com/class.html. This entry was posted in Five Element Personality Typing, Five Element Training, Newsletters and tagged horse temperament, horse temperament types, wood horse temperament on November 15, 2017 by Madalyn Ward, DVM.